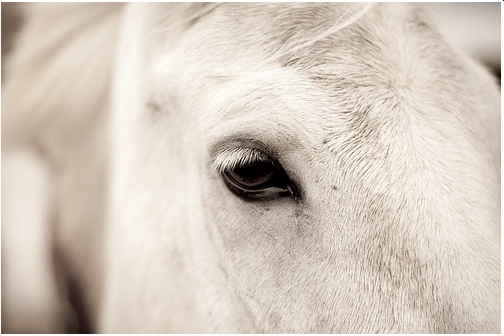 Home / Horse Care / How To Go About Thinning Your Horse’s Mane And Not Hurt It? Thinning your horse’s mane has many advantages – your horse looks naturally well groomed and ready for dressings and events. Plus, your fingers and the reins will be free of the mane – which means that you will not have to untangle your fingers or the reins from the mane every time you groom or ride your horse. And thinning makes braiding the mane or banding it easier. 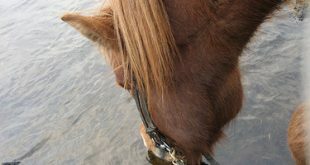 It is, of course, an added advantage if your horse has a naturally thin mane, then you will not have to work too hard. But, if your horse has a thick mane, then you have some work to do. 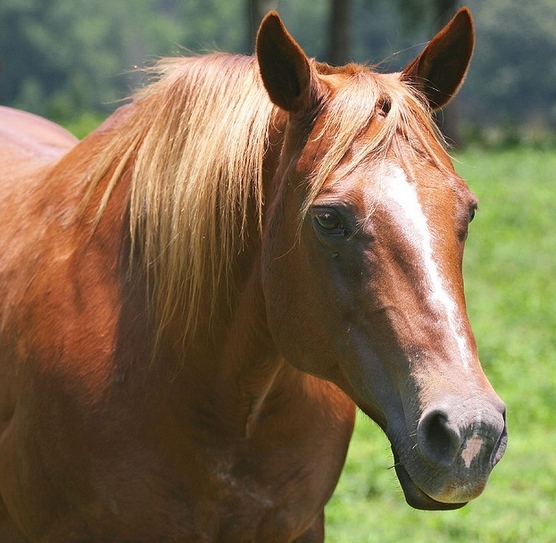 You can use two methods to thin your horse’s mane. Start by combing the mane and releasing the tangles – don’t be tempted to use any detangling product. It will make the mane silky and difficult to cut. 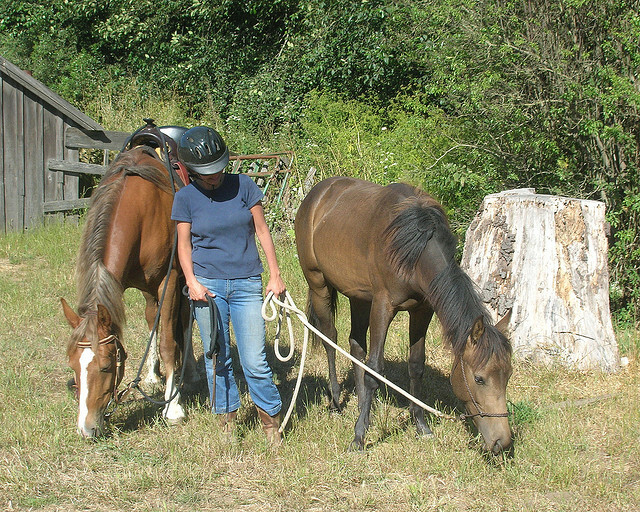 Make sure your horse is tied and properly distracted so that he stands patiently while you work on his mane. If you want the mane at 4 inches – as is commonly done – trim the hair before you start pulling. Once you have trimmed the hair, comb the hair again. Divide the mane into small sections that you can easily work with. Now taking a few strands at a time, pull on it quickly – this will get the hair out by the roots. Don’t pull more than a few strands at a time or you will end up with a bushy and tangled mane, and you will hurt the horse. And again, your hands will be doing the hard work. Here is a video demonstration of how to thin your horse’s mane. 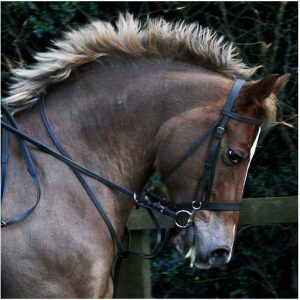 This is the easier method of thinning the mane, and much easier on your horse – it certainly wouldn’t appreciate you pulling out his mane. 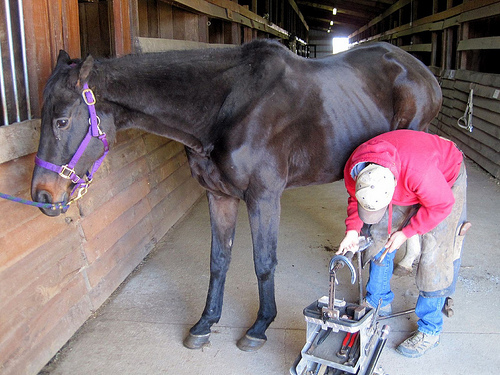 So this is all about thinning your horse’s mane and making him presentable. 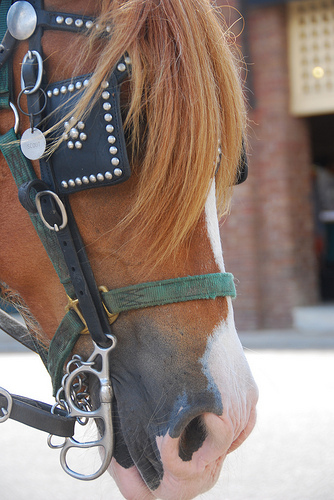 After all, your horse’s grooming reflects your love and care for him. 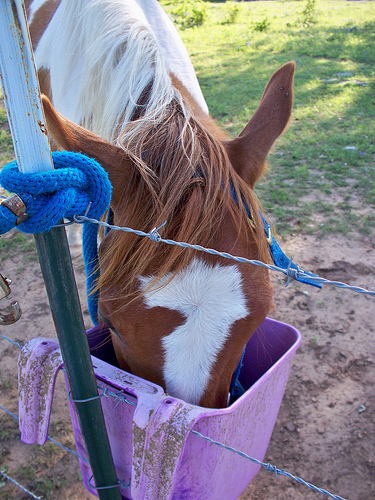 Next How Much Water To Give Your Horse And How – Answered!